Padua is one of the most ancient city of Italy, however through its streets a constant and charming dialogue between antiquity and modernity, tradition and avant-garde, can be noticed. Throughout the dynamic urban pattern, different examples of Medieval, Renaissance, Neoclassical and Modern architecture can be found. 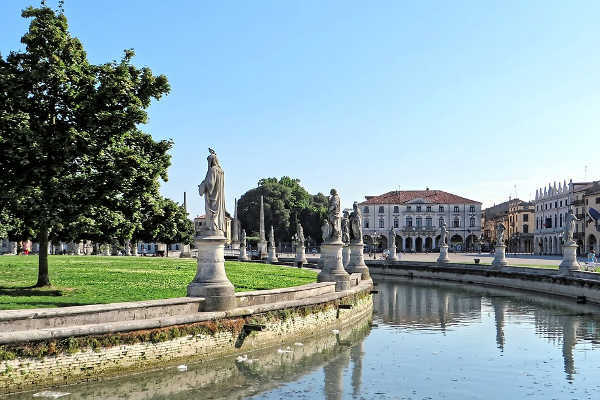 Padua is a sparkling city, rich in history, art, culture and vibrancy. Visiting Padua means to breath the spirituality of its churches, the perfumes of its teeming markets, and, at the same time, the dynamism of life.